What supply and demand looks like for an inelastic good. A month ago, I made the case for why urbanists must support linkage fees. 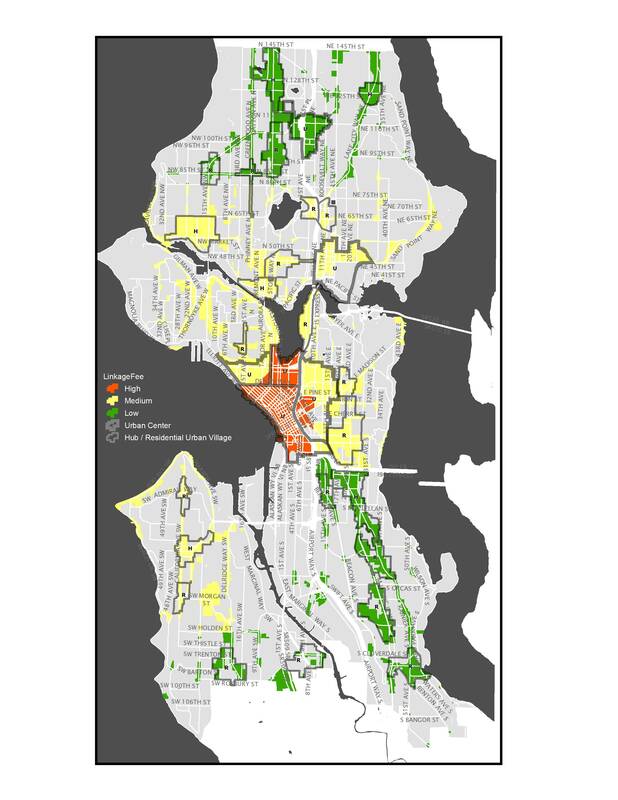 In response, Dan Bertolet at Smart Growth Seattle argued that linkage fees will impede housing production. Bertolet starts by summarizing how planners estimate redevelopable capacity, a critical concept in planning. He then firmly declares that a decrease in land values without a change in improvement values will decrease the supply of land, and consequently the supply of housing. Bertolet, an urban planner at VIA Architecture, brings a valuable perspective to the debate. He has a lot of planning experience, and a long history advocating for a more sustainable city. Discussion with Roger Valdez from Smart Growth Seattle. Both Bertolet and Roger Valdez (the director of Smart Growth Seattle) seem to agree with me that the cost of linkage fees would be passed to landowners. But we clearly disagree about whether reduced land values affect the supply of land. Cutting to the heart of the matter, Bertolet is making a claim about the economic nature of land. Do high prices mean there’s more land for sale? Do low prices mean there’s less? Land was sometimes defined in classical and neoclassical economics as the “original and indestructible powers of the soil.” Georgists hold that this implies a perfectly inelastic supply curve (i.e., zero elasticity), suggesting that a land value tax that recovers the rent of land for public purposes would not affect the opportunity cost of using land, but would instead only decrease the value of owning it. This view is supported by evidence that although land can come on and off the market, market inventories of land show if anything an inverse relationship to price (i.e., negative elasticity). My assertion about inelastic land supply fits with common experience. Cities with high land values usually see less development. Cities with lower land values may experience a lot of development (e.g. Austin), or none at all (e.g. Detroit). There are only two possible explanations for this: either the supply of land is inelastic, or the price of land has little overall impact on the supply of housing. Proposed Linkage Fee Map. Courtesy of the City of Seattle. Most urbanists would like to see more urban spaces, which means urbanizing (or redeveloping) single-family zones. If Bertolet’s description above is correct, then his argument against linkage fees does not apply to these zones. By definition land is inelastic. Clearly, the total amount of land in Seattle is not changing. Instead, Bertolet muddles the discussion by suggesting the supply of land varies as land comes on and off the market. Since the value of land in cities is derived from development, it’s not clear what land coming off the market means. A commodity like salt can be put to multiple uses. If restaurants have less need for salt, then more salt might be used to de-ice roads, or producers might make less. But landowners can’t shift land to a different market or reduce production. If land is not on the market for development, it has no value. In other words, in order for a good to be elastic, the production or use must change. Suppose that you owned a rental property that earned $1,000 a month in rent. How much would someone have to pay you to sell your property? You would probably need more than $1,000, since you could wait a month to collect that amount. Yet, while you might accept a higher offer, you probably wouldn’t require more than $1,200,000 (100 years’ worth of rent). It’s unlikely you will live that long, and your only alternative beyond collecting rents is to sell the property. In fact, the number is likely much lower than this; the property will depreciate, and money now is worth more than money in the future. Going even further, if a seller can reinvest the money from a sale on something that has a better return and/or earns more income, nearly any sale price would be tolerable. But what is a buyer’s willingness? In the case of developers, the amount they are willing to pay is likely well above any amount required by a seller. Unlike a landowner, developers seek out the lowest risk, highest return properties. These properties are generally ones that can be better utilized. For example, developers might target a property with a one-story building in a zone that allows six stories. They don’t reach their number based on a property’s current income. Instead, they are willing to pay up to the potential income minus the costs and returns they need. In the end this means there is potentially a big gap between sellers and buyers. The seller can’t make more money at the current use, so they are generally willing to sell. Unfortunately, buyers can only make that money with the specific parcel, since land is unique. Other parcels will have different risks and returns. Developers will bid down as much as possible, but any other developer can swoop in and bid higher. The only things limiting these bidding wars are costs and expected returns. In the long run, landowners benefit. But this gap is also where costs that apply to everyone can be leveraged. So long as the seller is willing to sell after all these costs, the property is still developable. A linkage fee is an added cost, but one that’s unlikely to affect sales. As an example, the highest possible linkage fee on the sale of the Sunset Electric parcel would have been $1.3 million. That’s a lot of money for affordable housing. But would the landowner still have sold the property? Records indicate the landowner would have made $2.5 million after the fee. This is about 100% profit on a six-year investment. There are even further factors working against existing uses. Property depreciation ensures that income reduces over time. Market risks like the 2008 recession prevent people from simply holding on to land and being guaranteed a higher return. Information asymmetry helps developers who can take their capital to other places but hurts landowners with no other options for cashing out their asset. GMA laws require periodic upzones that increase potential uses beyond the current income. And, of course, the inevitability of death means that people’s need to sell will increase over time. I don’t want to pretend that I know the reason why land is inelastic, but all of these reasons are plausible explanations. 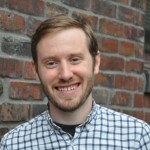 Instead of providing evidence the rebuttal dismisses an article by Michael Goldman using Seattle data, demonstrating land inelasticity. In an effort to produce more evidence, I wondered about the distinction made in Bertolet’s rebuttal. Are income earning property owners different than homeowners? Does income from an asset change the way people treat that asset? It seems a stockholder earning a dividend would be a good comparison to an income earning property owner. Yet the evidence doesn’t seem to show a correlation between price and trade volumes for stocks that earn dividends. Again the rebuttal article only draws a distinction between homeowners and income-earning property owners. I think this distinction is a red herring. The difference isn’t as stark as one might think. Homeowners earn imputed rents, making them similar to income-earning property owners. Weighing the sale of a property against the income isn’t an unreasonable thought experiment, but shouldn’t homeowners make this judgement too? To be clear, homeowners buying and selling in the same market is evidence of land inelasticity. They remain in the same area because land is unique based on its location. Even Bertolet indicates twice in his rebuttal that parcels are unique, a characteristic of an inelastic good. The rational market actor described in the rebuttal, often called an econ, is an archetype and should be viewed skeptically. Even if we accept that framework, there are huge segments of property owners in Goldman’s evidence that are income-earning, namely people who rent their homes. Beyond those people there are others that should maximize the return on their property. Retirees should wait to get a bigger nest egg. Couples downsizing – perhaps from two homes to one home or when their kids go to college – have flexibility on when they sell. People moving out of the regional market will need to buy in a new market. In fact, I have a hard time imagining many homeowners not trying to maximize their largest asset. I would expect a group this big to affect the data. Yet, despite all this, the data still indicates land is inelastic. 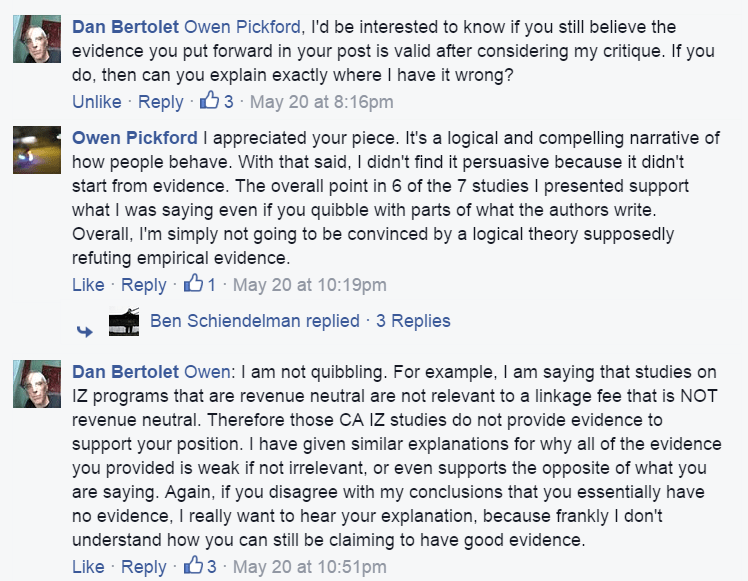 And most importantly, Bertolet doesn’t present any data supporting his assertion. Wikipedia goes so far as to say evidence shows negative elasticity. There are even logical explanations to explain why land has negative elasticity. Most likely urban land is a safe, high-return asset and landowners are monopolists. A high price indicates a low-risk asset, worth keeping for its rental income. A low price signals high risk and the possibility to earn better returns elsewhere. It makes sense to hold on to urban land if the return versus risk calculation is very good. If that calculation persists, factors other than price will likely cause sales. In other words, land supply is inelastic. Debate about the elasticity of land is important but actually unnecessary. It’s pretty easy to determine that linkage fees won’t affect the supply of housing even with an assumption that land is elastic. In the next article, I’ll try to engage charitably with Bertolet’s arguments by accepting his premise but still show linkage fees wouldn’t reduce housing supply. In summary, I want to repeat my initial call for urbanists to focus on housing limits, rather than regulatory costs. It’s critical that urbanists’ goals to build more housing don’t prevent the city from being successful. Bertolet’s article completely ignores the progressive desire to create mixed-income neighborhoods and equitable access to urban benefits. We shouldn’t avoid these and other desirable outcomes in service to a theory about regulatory costs. Instead, if we are convinced that there is some cost from an otherwise beneficial regulatory change, urbanists should focus on mitigating those costs. The most obvious way to mitigate the perceived cost of linkage fees isn’t to fight with affordable housing advocates. It’s to argue for upzones. I don’t mind opposition to linkage fees. I was actually surprised by the widespread positive reception to the argument in favor of linkage fees. I hope the discussion continues and there is some new empirical evidence presented. Most importantly, though, I encourage urbanists to seek out empirical evidence and to distinguish the efforts to eliminate regulations from the fight to eliminate housing limits. Seattle doesn’t need less regulation, it needs better regulation, and ultimately fewer housing limits. I find this article uses a lot of words to come up with “I don’t want to pretend that I know the reason why land is inelastic”. I’d like to see more evidence that it is. The evidence was already presented and there are links to it. There has been no evidence presented suggesting otherwise. But isn’t your evidence just residential home sales and the stock market? I think Dan made a pretty good argument that neither of these apply. Your argument that they do doesn’t make much sense to me – you argue that residential markets are inelastic because people stay in their city when they move. But what about investment property – surely investors don’t only stick to one real estate market, or even keep their money in real estate. If I’m missing something (I’ve read everything you wrote, but you wrote a lot) please let me know. It’s not just that, it’s also all the studies on inclusionary zoning, which require land supply to be inelastic or land values to be subsumed by other factors. Additionally, the results of the studies on impact fees point strongly to inelastic land supply. The bigger point I’m making is that we’ve actually presented evidence. Pointing out issues with that evidence is fine but it’s not evidence of a different assertion. It seem at least a little unfair to have require us to present more evidence, then make different assertions without evidence. I was going to say that neither side has any data about the elasticity of commercial property, but instead I decided to do a quick search. Here’s the first paper I turned up. It looks like pretty strong evidence for elasticity, but it’s just one paper. Again, just one paper, but it was also just a quick search. I have read the article but at first glance I don’t think this says anything about the elasticity of land supply. It is saying there is a correlation between square foot rents and assessed value. Which of course makes sense, since assessed value is derived from the income that can be earned from a property. Without thinking about this too much, it seems the behavior of landlords managing operational costs can’t really speak to land elasticity. In order show land supply is elastic, it’s necessary to show that the supply increases or decreases in relation to price. This is, by definition, impossible since the supply of land is fixed. If you are making the argument that land is ‘on and off the market’ it’s necessary to come up with a definition of what that means first and then find empirical evidence of that. It’s all in my quote. 55% of the property tax were shifted to the owners, 45% were borne by the tenants. The only place assessed value comes in is that’s what they based the tax on. I’m really trying to understand your argument, believe me but I’m afraid I don’t get it. It says nothing about the sale of property. I completely agree that if a landlord is operating a property and is making a minimal profit, they will shift as much costs as possible to tenants. This is a different argument than suggesting that lower bids on land will prevent sales. As a side note, it might be helpful to have this discussion in person sometime and I’d be happy to meetup. Sure. The discussion is getting a little long for a comment thread. Now I’m lost. Isn’t it your entire hypothesis that all costs are absorbed by the land owner, because land is inelastic? I swear you had a whole post about any tax or fee goes directly to the land owner and not the tenants or developers. That’s not what my original article was really getting at. I think there’s actually a lot of evidence that operational costs are passed to renters over time. My original article was about where land value comes from, essentially the value of the parcel at the time of sale. My point is that this price is affected by the cost a buyer expects. Shoot me a message if you want to meet up or feel free to drop by any of our meetups. You’re ignoring the future value of this land. It’s not like it’s $1.2M or $1k a month. It’s $1k a month, and then $1.2M (minus inflation, minus depreciation, plus increase in land value). Sure this is only 1% per year return on investment, but that surely goes against your “nearly any sale price would be tolerable”. As an aside, my 110yr old home bought from a Sears catalog for some 3-digit number has done anything but depreciate. (edit) Actually, this does go to the main point of your argument. Add a development tax to drop this $1.2M, and the return on investment ends up looking slightly better than the sales price. Not all properties will be on the line between selling and not selling, but some non-zero number of them will. I’m not sure I understand your argument. Can you clarify? First, see my edit (sorry, was editing when you replied). Clarifying: Your example seemed to only look at (present value of monthly income). The value is really (present value of monthly income) plus (present value of future sales price). What I’m trying to do is setup the calculations that would be compared to each other when a landowner is considering a sale. The profit-maximizing landowner would compare net present value to the market price of the sale. My understanding of net present value: it is determined by taking all future income, subtracting costs and then multiplying that number by a discount rate. To be more clear, In the case of homeowners I was trying to point out that many people’s discount rates are bigger than buyers, for various reasons. For example, people die eventually. This whole theoretical explanation is really getting into the weeds and I honestly don’t know how important it is. It’s very important. Stopping one sale could mean losing hundreds of units. And we don’t know how many land deals are marginal. Your definition of net present value is close enough, but you need to add in the future sale in the keep-it-100-year version. At the end of that 100 years the property still has value (and likely more than the current value). I absolutely think increasing the housing supply a lot is critically important and I’m not suggesting impacts on housing supply are unimportant. What I’m trying to say is that theoretical discussions about these impacts seem less important than looking at empirical evidence because, to a large degree, we’ve reached the limit of what can be discussed theoretically. Is land elastic or not? This can’t be proven without empirical evidence. Regarding the calculation, it’s possible I’m wrong but I don’t agree with how I think you are doing your calculation. Please correct me if I’ve misunderstood. At any given point, at which someone is supposedly thinking about a sale, the net present value considers all future income. This means if someone waits 10 years, collects income and then sells, the net present value in 10 years would represent income that could be earned on the current use after the sale. On the other hand, the net present value today would include all income over the next 10 years and also all income after 10 years. In the end, calculating it today gets you the same number as collecting rents and then calculating it in the future. If you take all future income and add a land sale to this, I think you are counting income twice because the market sale price and net present value are counting income from the same times but different uses. The market value on the other hand represents all future potential income. Or to put it another way, it counts either the income of the current use (if it’s the highest and best use) or the income of a different use (if it’s higher and better). This has been a little tricky to wrap my head around so please let me know if there’s something I’ve misunderstood. And I don’t see this. Let’s just look at the land and ignore the structure. If I can rent my land for 100 years at $1,000 a month, there’s no reason that land won’t be just as valuable then as it is today. Sure, there will be some large amount of inflation over that period of time, but land tends to increase in value over time at a greater rate than inflation in cities. There’s no time in the future you can run this calculation out to where that won’t be true. I have a feeling the examples you’re looking at are more standard durable or consumable goods. If you buy a computer then you have, say, 5 years of value over time and you can bring that back to a net present value and compare it to the purchase price. At the end of that period it’s effectively worthless. And this may be true to some extent for buildings, though my kit-built wood house is a pretty strong counterexample to this point, as are any structure that’s still standing after 100 years (in Seattle I think that’s most of them at least after the fire). Not sure if you need a clarification from me but I think we are misunderstanding each other. In order to determine the value of land then you have to know the income land can produce. Land value is just an expression of the potential income. Adding all future potential income to current use income is adding income twice. Now you might say that at some point a property will shift from it’s current use to a potential use and over the time it’s at it’s current use you add one type of income and when it changes to it’s potential use you add a different type of income. I don’t disagree with this. I’m not making a statement about whether or not land will increase or decrease in value. Then tell me what the potential future income is for this piece of property. If land appreciates faster or at the same rate as inflation, it’s infinite. I don’t understand what the owner’s death has to do with this – just before he dies he’ll sell it for what it’s worth then (and add that to all of the income he’s made over his life). I’m not arguing with you about what the future income is, I’m trying to clarify how this calculation would be done. I think we basically agree though. The value would be determined by all future incomes minus the costs. Your expressing one part of future income as the money from a land sale. I’m describing the land sale as an expression of all future income after the sale. The point of discussing an owner’s death is to point out that there are motives not accounted for in this calculation. The calculation we are describing is the profit-maximizing, rational market actor. Explaining how this works doesn’t mean the world works that way. If the sale of land is mostly affected by things other than price, like homeowner deaths, even in a world in which land can be “held of the market,” to reduce supply, the supply of land is still not connected to price and consequently inelastic. Sorry if I didn’t make that clear in the article. I really didn’t dig deeply into it as that is the focus of the next article. Also I should say that any rational calculation of all future income minus costs will be multiplied by a discount rate. Things like expected death can affect what that discount rate is, which is another reason for mentioning it. Could it be said that the idea of inelasticity of land is that literally there is a fixed amount of land in the realm(save for oceanic volcanoes making more land, or crappy corporations and governments making land unusable via toxins or destructive exploitation)? But could supply be taken to mean the amount of real estate that is “On the Market” at any given time? And if so, could that supply be affected by market factors such as financing costs (interest rates, fees), taxes, and rates of value increase or decrease? This is a pretty good explanation. I would argue that real estate is elastic, affected by the points you describe. Land is an input to real estate and land transactions show no correlation with price. But are there correlations to rates of change in land values and sales of land? e.g. if land (or Real Estate) is increasing at 30% per year versus 5% does that induce the “supply” (as defined above) There is a theory that massive increases in money supply is affecting the value of land (and real estate) and it is inducing investors to purchase these assets precisely because they are inelastic. And further, you have delineated that real estate is distinct from land. You stated, land is an input to Real Estate. Should this discussion be then focused on “Real Estate” rather than land? The data and research I’ve seen and we’ve presented suggests that land price changes don’t affect the supply of housing. Or if they do, any affect is completely overwhelmed by other factors. To think of it another way, just because the price of land increased in the past, doesn’t mean it will be higher in the future. A rational asset owner doesn’t sell more when a price is higher. Instead, they buy, sell or hold based on future expected values. In the case of land, it’s not even possible to put more on the market when the price is higher. The only possible explanation that high prices are important is that there is a shift from current uses to redevelopment. I’ll address that argument in the next article. It’s easy to be confused by this. After all, increasing land prices are often coupled with development. The thing to keep in mind though is that increasing land prices are due to demand and it’s actually demand for housing that is driving the development, not the increases in land prices. Your most important statement from above is simply not true in many, many instances: “In the case of developers, the amount they are willing to pay is likely well above any amount required by a seller.” Anyone in the business of land development can tell you about the challenges needed to make development “pencil,” and by pencil I mean being able to justify paying for land given the existing use. Some areas where the existing value hurdle is most challenging include Low-rise zones occupied by SF housing, mid-rise zones occupied by marginally viable used like strip malls, high-rise zones occupied by existing buildings of greater than 4-5 FAR., etc., etc. I can’t tell you exactly how much this linkage fee proposal, as applied to housing, will undermine supply, but there will be an impact. If we had to compromise, I’d say impose the linkage fee on commercial uses, impose some level of fee on high-rise residential (less than the current proposal), but remove it entirely on areas zoned for stick frame construction, and/or in areas far below their unit production targets. There’s no doubt that land acquisition is a hard part of development. This article is largely making the claim that this problem isn’t related to any ‘absolute’ value of land. If land is inelastic the absolute value doesn’t matter and there is a different reason land transactions are hard. I gave a number of examples why land acquisition is hard besides the price of land. In the next article I’ll touch more on the sentence you’ve highlighted, coming from the perspective that you have, that land is elastic. I don’t expect to convince you but would be happy to talk in more detail any time. You are welcome to come by our weekly meetup or we could grab coffee sometime.